Claire Lynn Nendza, 71, passed away on Wednesday, October 10, 2018 at Aurora Memorial Hospital of Burlington. She will forever be honored as one amazing daughter, sister, wife, mother, mother in law, grandmother, and great grandmother. She definitely left an imprint on those whose life she was a part of. She was born in Lyons on June 14, 1947 to Marvin and Shirley Kinney. She grew up in Lyons and graduated from Burlington High School in 1966. She married Kenneth Edward Nendza on November 30, 1968. Following their marriage, she first resided in Lake Geneva and then Williams Bay before finally settling in Delavan. She was employed by the Wal-Mart in Delavan for the past 14 years. 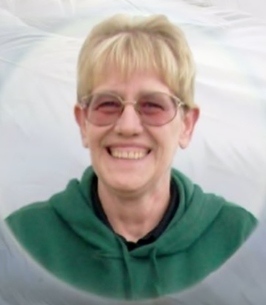 She had a great love for animals, was a beloved child care giver, enjoyed fishing with her family and friends, watching football, bowling, playing cards, bird watching, Suduko, cooking shows, and painting ceramics. Surviving her are her husband, Kenneth Nendza Sr., son, Kenneth (Joyce) Nendza Jr., daughter Denise (Steve) Nendza, grandson Kevin (Ashley) Nendza, grandson James Watschke, granddaughter Makenna Nendza, great granddaughter Willow Nendza, eight sisters, Lorretta Merten, Marjorie Heiligenthal, Marie (Gene) Sween, Annette (Dave) Schuler, Patricia (Kenneth) Dade, Maxine (James) Clausen, Peggy (Charles) Nendza, Virginia Frederick, four brothers, Marvin (Sharon) Kinney, William (Tammy) Kinney, Harvey Kinney, and Jeffrey (Jayne) Kinney, two sisters in law Virginia (Jack) Caceres, Bonne Jane, and two brothers in law Andrew (Dolor) Nendza, and Paul Herber. She was preceded in death by her parents Marvin and Shirley Kinney, twin sister Clairese Kinney, parents in law Andrew and Mary Nendza, sister in law Mary Ann Herber, and brothers in law Richard Heiligenthal, and Edger Merten. She meant so much to so many people and we invite all who loved her to join us in a celebration of life gathering on October 26th at 25 N. Wisconsin St. Darien, WI 53114 doors will be open from 1pm to 7pm. She did not want a formal type of service. Her wishes were for a simple gathering to share moments we remember with each other. There will not be a set time where we stand in front of a group to speak, you can come anytime between 1pm and 7pm to visit and share memories. In lieu of flowers feel free to bring a dish to share if you would like. Steinke-Lazarczyk Funeral Home and Cremation Services of Lake Geneva, WI is proudly serving the Nendza family. To send flowers to the family of Claire L. Nendza (Kinny), please visit our Heartfelt Sympathies Store. She meant so much to so many people and we invite all who loved her to join us in a celebration of life gathering on October 26th at 25 N. Wisconsin St. Darien, WI 53114 doors will be open from 1pm to 7pm. She did not want a formal type of service. Her wishes were for a simple gathering to share moments we remember with each other. There will not be a set time where we stand in front of a group to speak, you can come anytime between 1pm and 7pm to visit and share memories. We encourage you to share any memorable photos or stories about Claire. All tributes placed on and purchased through this memorial website will remain on in perpetuity for future generations.